Why is there a need for WiFi to interwork with the EPC of 3GPP Rel. 8 and later and what are the different options for the network access? How does a voice call setup work with WiFi , what are the options and what are the benefits of using VoLGA or IMS? How is authentication of the terminal being done in case of a roaming through WiFi instead of a LTE access? What is the protocol stack in case of a WiFi access network and what is the difference between DSMIP and PMIP? Which are the implementation options for QoS in WiFi and how can the the performance be improved for certain services? How does a handover work between 3GPP access networks and a WiFi access network in case of a roaming mobile? The book is particular useful to engineers and technicians who are involved in the design, operation and interworking of LTE networks with WiFi access networks. Network operators and technical staff who need understand the application of non trusted, non 3GPP access networks in a LTE environment. 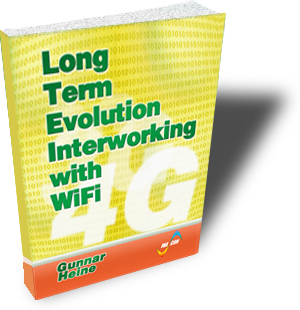 Everybody who requires detailed knowledge about WiFi interworking with LTE.